BEVERLY – The line between comedy and tragedy is a fine one. Smokey Robinson sang of that in “Tears of the Clown” and there are many comedians and entertainers whose outward demeanor masks a tortured soul. The entertainer Fanny Brice parlayed modest physical gifts and an abundance of talent into a starring role on the stage, converting those laughing at her to fans laughing with her along the way. 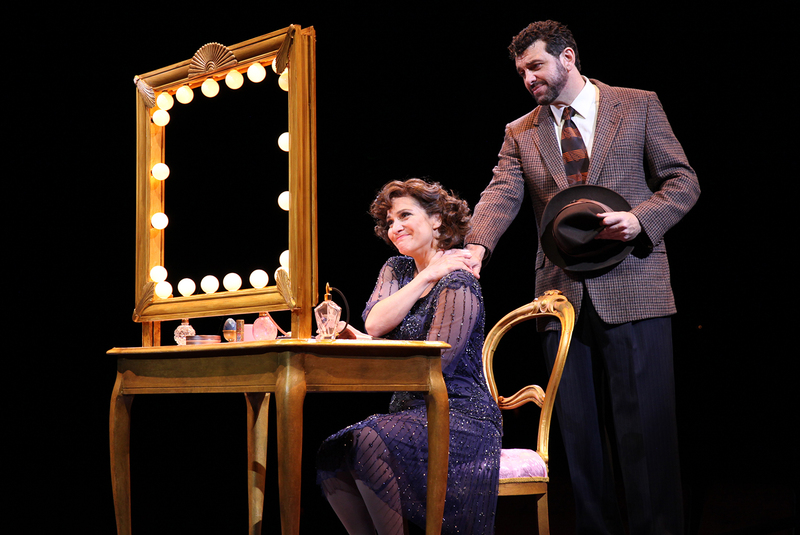 The tale of her triumphs and travails became the musical “Funny Girl,” now at the North Shore Music Theatre through June 19. While the show will always be inextricably linked with Barbra Streisand, that doesn’t mean other actresses can’t make it their own, and the gifted Shoshana Bean has done just that as Brice, a woman laughing and wise-cracking on the outside as her heart is breaking on the inside, all because of her roller-coaster marriage to gambler Nicky Arnstein (Bradley Dean). Bean, a noted singer/songwriter, is a theatrical dynamo bursting with energy, ready to explode into glorious song at any moment. It doesn’t hurt that she also is a gifted physical comedienne in the tradition of a Carol Burnett or Lucille Ball. Dean is a smooth and charming Arnstein, but the roguish side of the character needs to seep through a bit more than it currently does. He does do well conveying the character’s despair and sadness later in the show. The additional good news is that “Funny Girl” brims with fine supporting performances. It’s always a treat when Revere native Susan Cella returns to Boston in shows such as “Wicked” and “Fiddler on the Roof” and here she shines as Mrs. Brice, the streetwise saloonkeeper and mother of Fannie who is her daughter’s biggest booster and biggest protector. Her Henry Street neighbors – Mrs. Strakosh (Sandy Rosenberg), Mrs. Meeker (Purdie Bauman), and Mrs. O’Malley (Ellen Peterson) – also hit their marks. 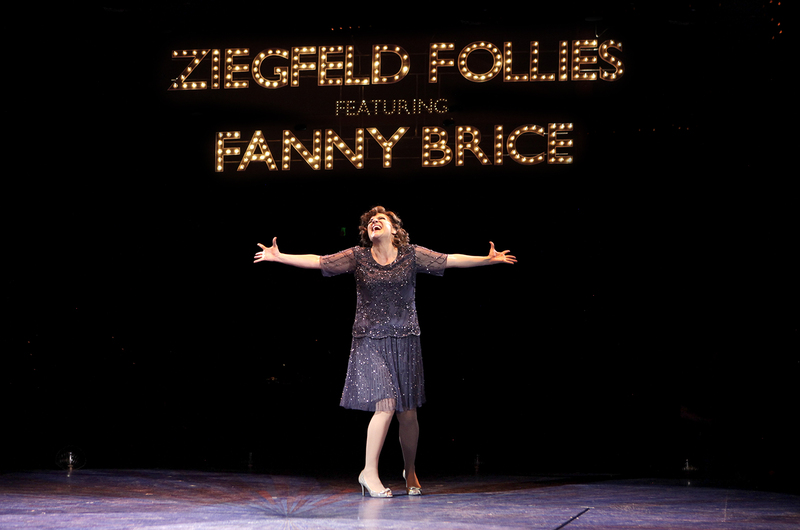 Rick Faugno as Eddie Ryan is the very definition of the talented song and dance man, here who is cajoled into giving Fannie her first break, then becomes one of her best friends. His “Who Taught Her Everything?” performed with Cella is another highlight. Mark Hartnett’s orchestra is in perfect sync with the performers, and Jack Mehler’s lighting, Stephen Dobay’s scenic design, Charles Coes’ sound design and additional costumes by Mark Nagle aptly suggest the glamor of the Great White Way, Henry Street and the Brice/Arnstein mansion. Director/choreographer James Brennan and an energetic ensemble of singer/dancers make sure the production numbers – especially those based on the “Ziegfield Follies” – have the necessary pizzaz. NSMT Artistic Director Kevin Hill in his program notes opines that “Funny Girl” is not performed very often because it’s so hard to find actresses as multi-faceted as Streisand. 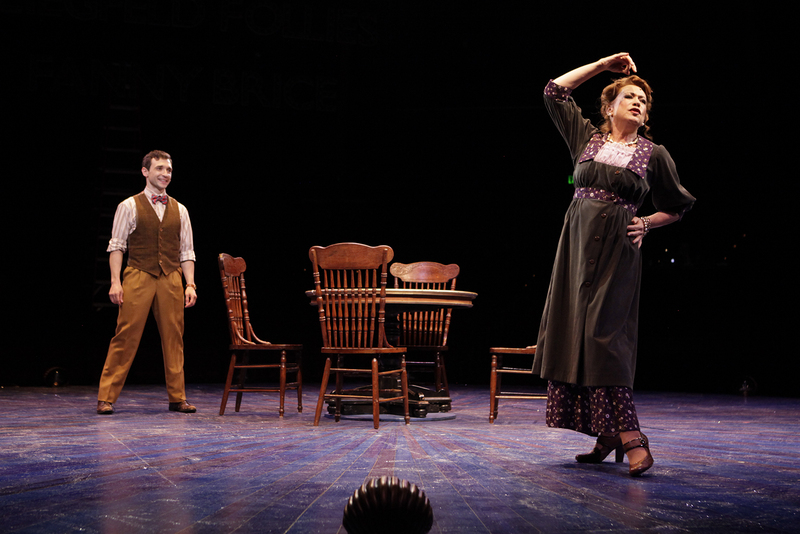 Find one they did, though, and Shoshana Bean, while getting her “lifelong dream fulfilled” to play Fannie, has gotten NSMT owner Bill Hanney’s seventh season off to a very strong start. The North Shore Music Theatre production of “Funny Girl.” Book by Isobel Lennart, based on her original story. Music by Jule Styne and lyrics by Bob Merrill. Directed by James Brennan. At the North Shore Music Theatre, Dunham Road, Beverly, through June 19. www.nsmt.org.